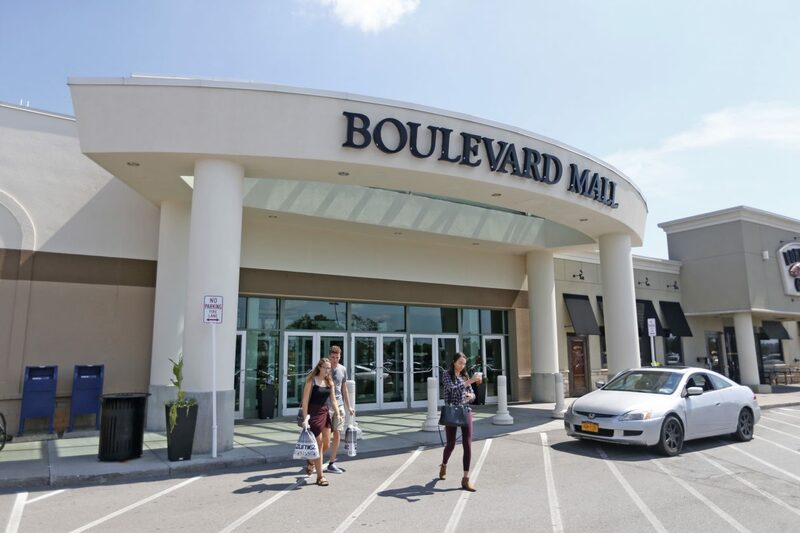 A group led by Nick Sinatra of Sinatra & Co. Real Estate placed the winning bid of $24 million in an online auction of the Boulevard Mall that ended Wednesday afternoon, the developer confirmed to The Buffalo News. That's four times the $6 million starting bid for the 64-acre property, and it has met the seller's reserve price, according to the Ten-X Commercial site that is hosting the auction. The reserve price – the minimum selling price set by the property owner prior to the auction – wasn't previously disclosed but Ten-X reported it was reached at $21.5 million. Ten-X also doesn't identify who has made any of the high bids so far. Bidding is taking place in increments that began at $1 million but now have reached $50,000. The online auction started at 11 a.m. Monday and was set to run through Wednesday at 1:12 p.m., although it ran two hours overtime as Ten-X kept adding a few minutes at a time to the auction. Commercial real estate firm HFF has marketed the site on behalf of LNR Partners, which is selling most of the land and buildings on the east side of Niagara Falls Boulevard between Maple Road and Almeda Avenue. It includes 687,000 square feet of rentable retail space that Ten-X states is 78 percent leased. Additionally, the Wegmans property just to the east of the mall proper, at 675 Alberta Drive, also held by LNR Partners, is also up for sale in an auction that closed just after 3 p.m. this afternoon. The final high bid for that parcel is $7.45 million, a figure that didn't appear to meet its reserve price. Bidding for the Wegmans property started at $3 million. For perspective, back in 2003, when the retail climate was vastly different, the McKinley Mall sold for $48.6 million. Uniland Development Co. one year ago paid $15.4 million to become co-owner of the Eastern Hills Mall. Amherst officials are eagerly awaiting the sale and redevelopment of the Boulevard Mall, which like many shopping centers has struggled in the face of the changing retail climate. Town leaders say the property is attractive because of its size, its location on heavily traveled Niagara Falls Boulevard and between the two University at Buffalo campuses, the commercial and residential density of the area that surrounds the mall and its inclusion along the projected path of an expanded Metro Rail. A key reason developers will bid on the property now is its inclusion in the federal opportunity zone program, which sets up targeted zones in high-poverty census tracts where investors and corporations can defer taxes they owe on capital gains. Nick Sinatra of Sinatra & Co. Real Estate is the only local developer who has publicly expressed interest in bidding for the mall. Benderson Development Co. is another obvious possibility, given the company's extensive holdings within the mall footprint and farther north along Niagara Falls Boulevard. It's not clear if or when HFF or LNR Partners would announce they have accepted an offer. An HFF spokeswoman said she couldn't comment on the sale.